Description Recording session for the Bicentennial oral history project that was published as ""In Their Own Words"" in 1976. L to r: Theresa Truchot, Emily MacMickle and Steve Turner. Stamp on front: AUG. Negative with previous file. Newspaper reporter Elizabeth Ryan submitted this photo and an article to Lady's Circle Magazine (12-23-1973) and included this caption: During a pause Theresa Truchot asks a question. 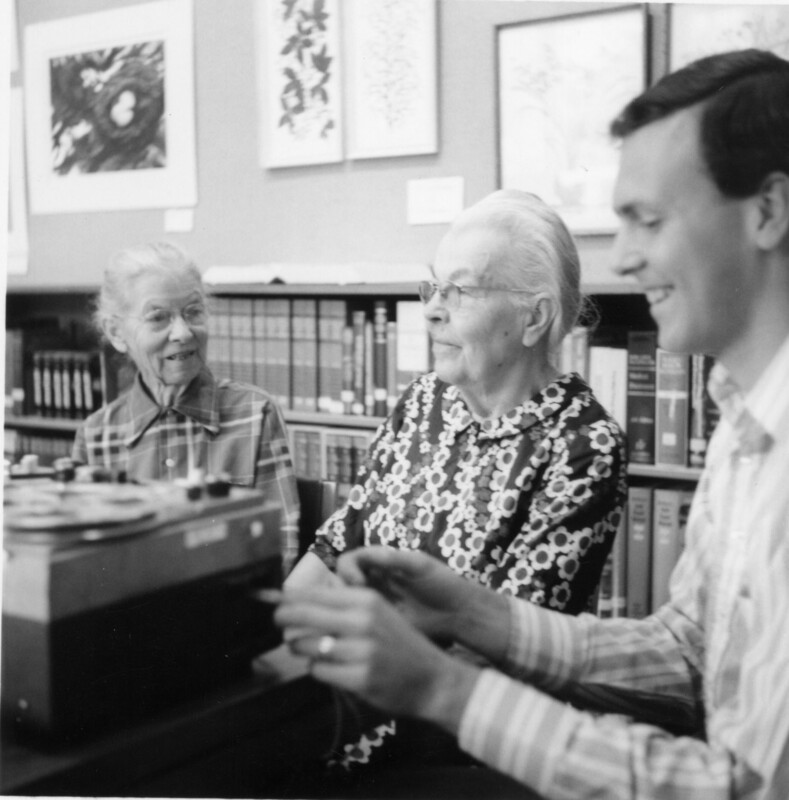 Steve Turner, the reference librarian who also handles the tape recorder, makes certain present day listeners will understand.